Got joint pain? Get long term relief. Let MyJointPain.org.au show you how. Do you have osteoarthritis (OA)? This joint disease that can lead to ongoing pain and disability. Answer a few questions to learn your risk. Answer questions to get relevant treatment options and a management plan tailor-made for you. Weekly check-ups will help you stay on track. Learn about new treatments, what works, and what you should avoid. See interviews with experts and connect with healthcare providers who can help you. Talk to other people with joint pain as well as experts. Ask questions, get answers and share your experience. Find out who can help you best. This website can help you relieve the symptoms of joint pain or osteoarthritis (OA) and help you lead a more active and pain-free life. 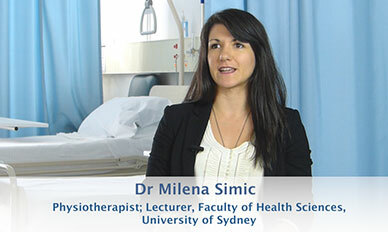 Our extensive library of videos includes interviews with medical experts and people with joint pain. 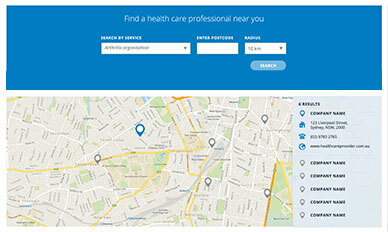 Find support services, resources and healthcare providers in your area who can help you. Connect with others who have joint pain and learn from experts. There are many ways to manage your pain. "Joint pain is no laughing matter. 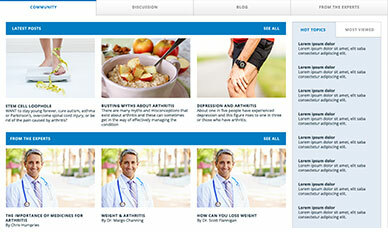 As someone with OA, this site has given me great info from top experts." "Joint pain affects people of all ages. An action plan and support is important. This website shows you how." "You CAN beat OA with the right advice. I'm on top of mine now. Let MyJointPain.org.au show you how." Sign up now, and join over 130,000 people helped since March 2013.